BAY POST INTERNET: Is Greenlight Pinellas the New LENS? One of my Post readers recently commented "Thanks, Doc! You are the most reliable source of info on this subject. Kind of reminds me of the Pier debacle the way they're going about this." I appreciate the compliment but more importantly the comparison of the Greenlight effort to the Pier started me thinking. While the projects differ greatly in scope, in both cases we have a large scale project where a lot of the power players rounded up a lot of politicians and put together a project which fails to support the needs and desires of the public. The LENS was a product of careful manipulation of public meetings, an ignored report of citizen suggestions and a small group of power players and politicians, some of whom stood to benefit greatly, pushing a project that became increasingly unpopular. equally powerful players stepped up with their influence and support, ran a second petition drive, got the issue on the ballot and it was defeated. 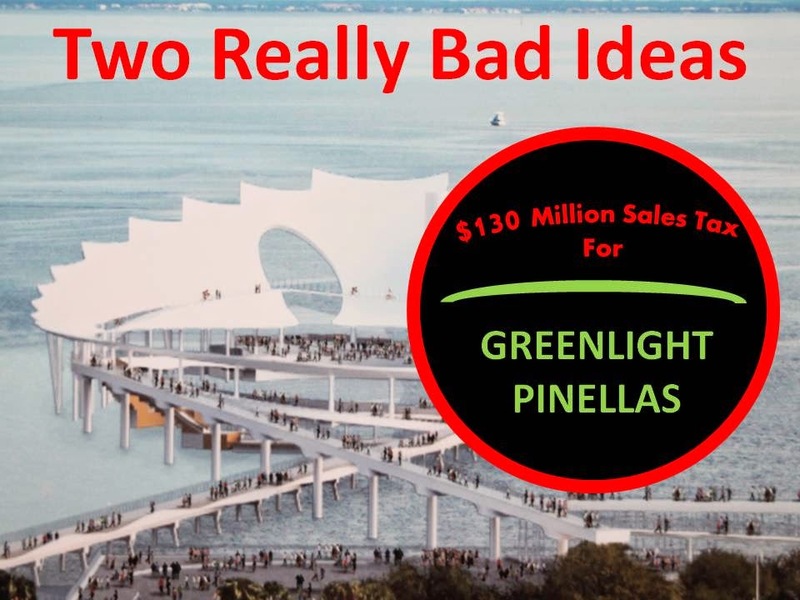 With Greenlight we have a large scale project where the PSTA, TBARTA, the St. Pete Chamber and other power players worked for years schmoozing elected officials into believing that the GreenLight plan will work for Pinellas County. They lined up enough votes from their Board members, many of whom are also Pinellas County Commissioners, to get the sales tax referendum on the ballot. When a PSTA Board member who is a County Commissioner objected to the Greenlight plan he was simply dismissed from the PSTA Board. Now while the PSTA is being investigated for their "educational" efforts the sales tax opponents are being denied access to advertising space they are willing to pay for on PSTA buses, denigrated by the Chairman of the PSTA Board, their statistics, which come from PSTA, being questioned while public sentiment, at least in the most recent polling, shows diminishing support for the Greenlight plan. The question is will some of the powerful voices of reason in Pinellas County who have yet to be heard from look at the impact of taxing retail sales in this County $130 Million Dollars a Year? Will they actually read the law being enacted, Greenlight Pinellas Tax Ordinance, look at vagueness and lack of controls in the Ordinance and the incestuous relationship between the County Commission and the PSTA Board and realize the governance structure is suspect? Will they speak out and throw their support to the Greenlight opposition? Time is growing short.